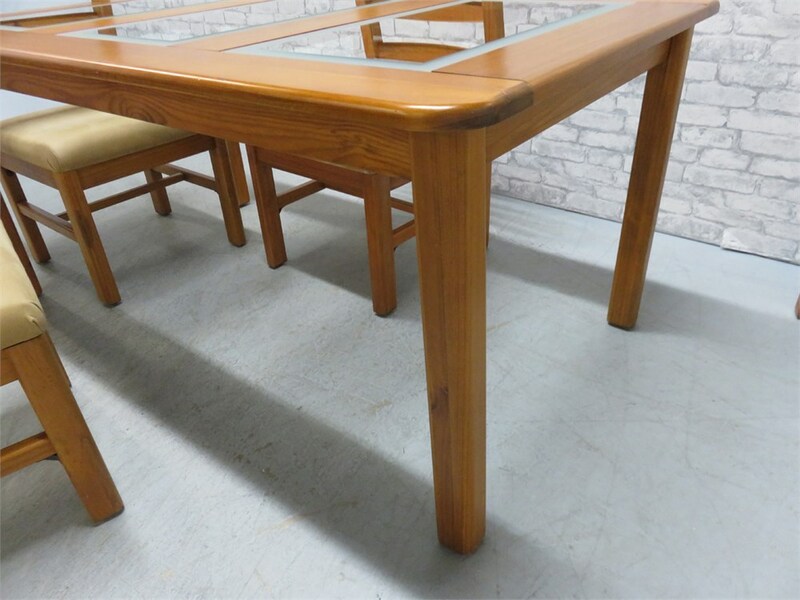 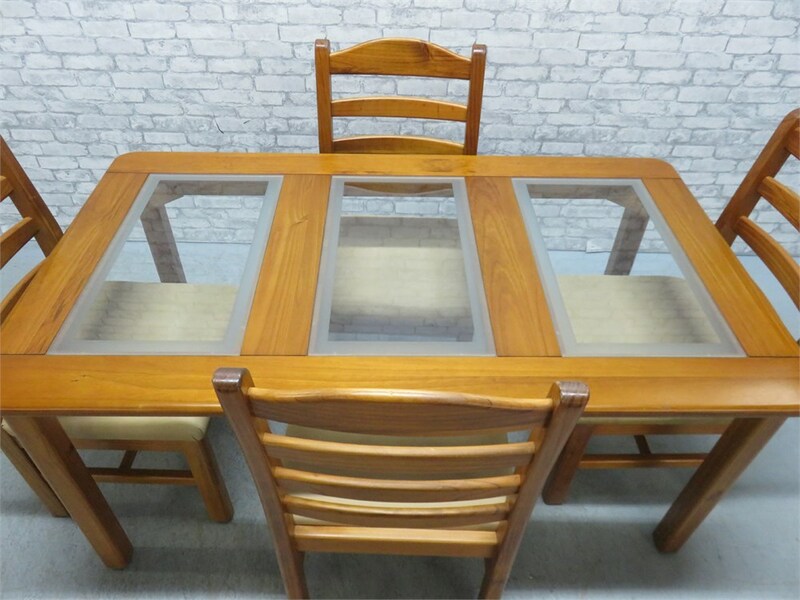 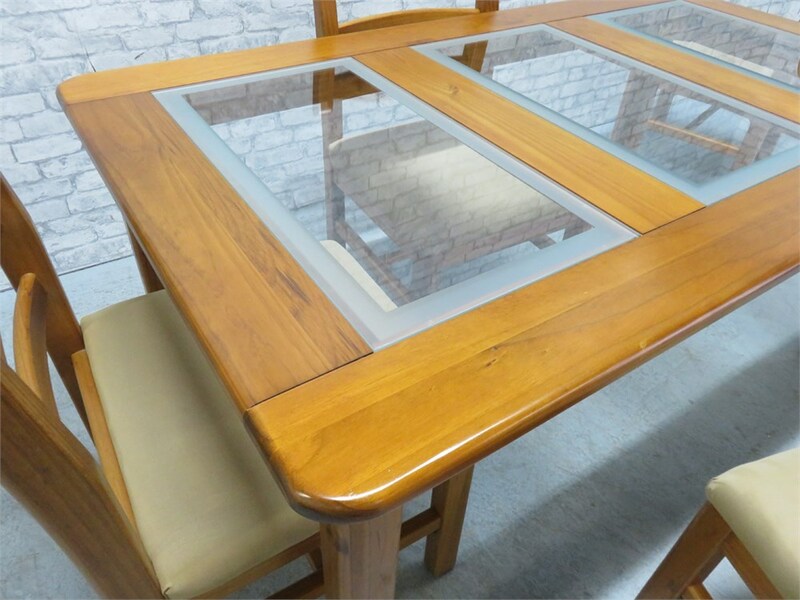 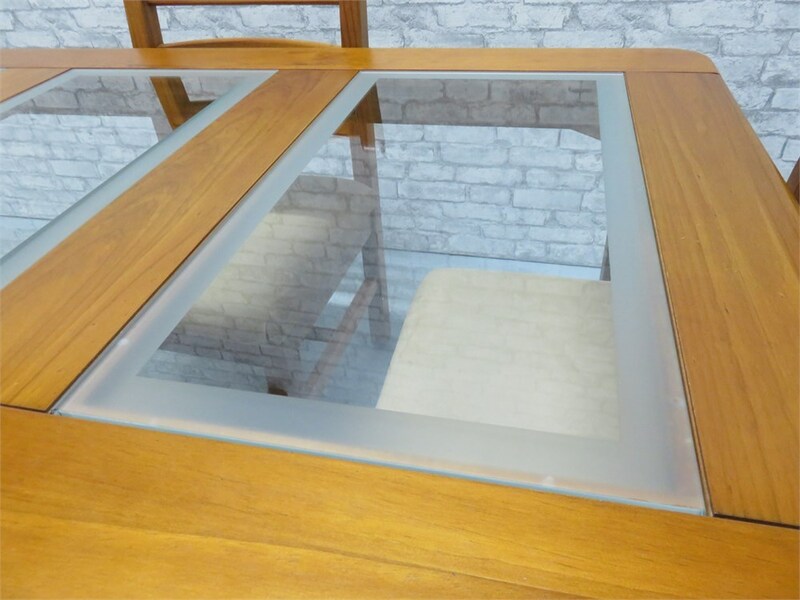 A solid pine dining table set with 3 frosted trim glass panels. 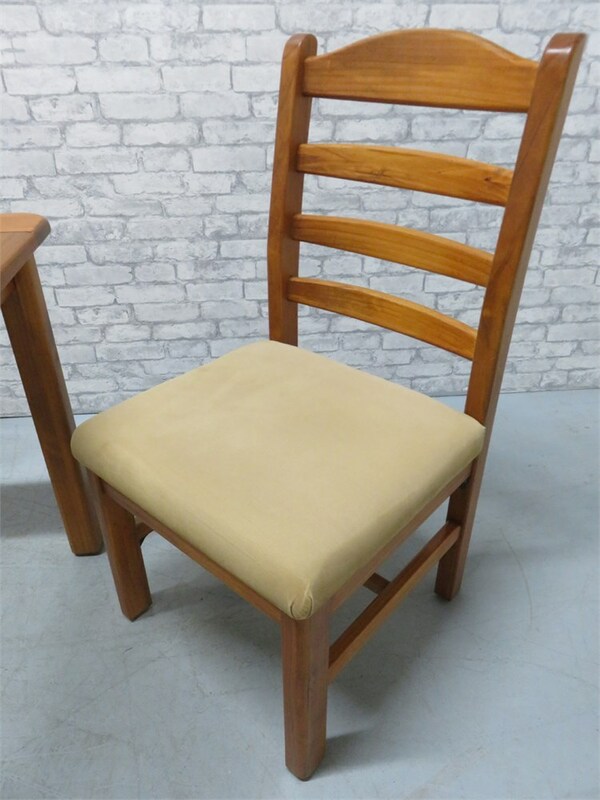 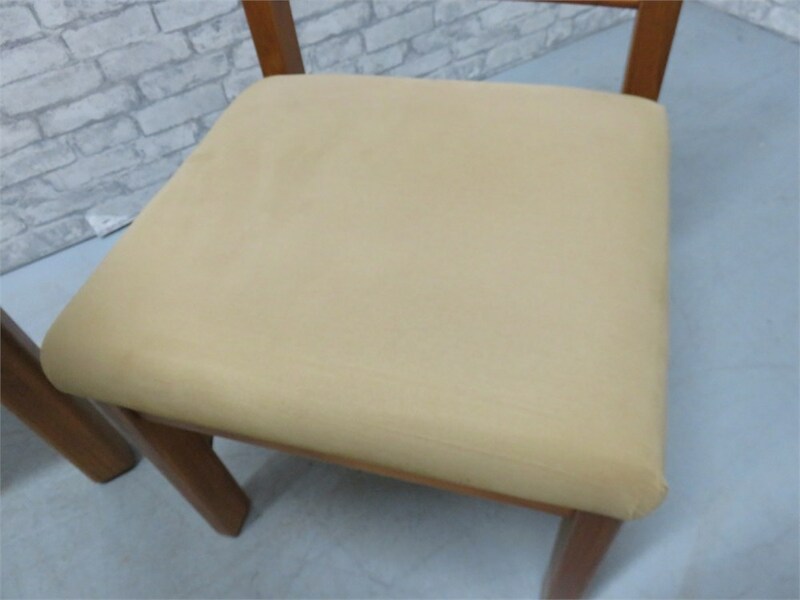 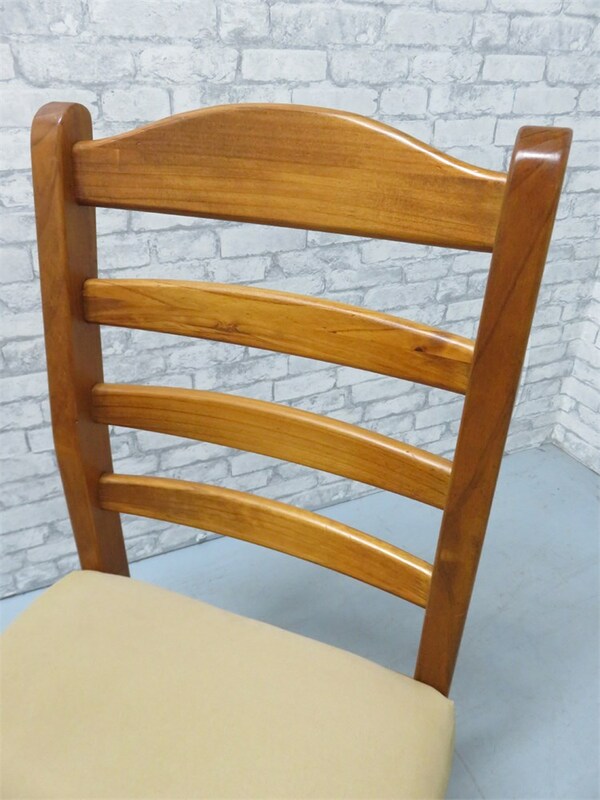 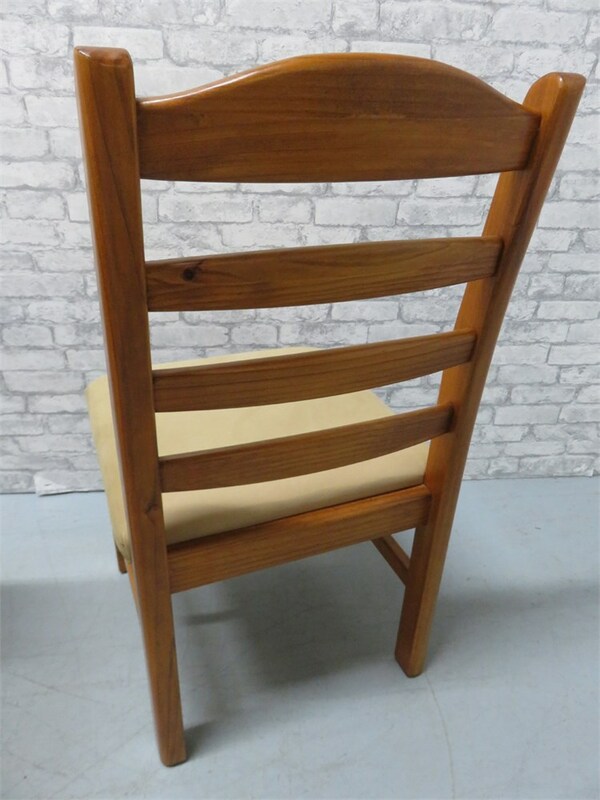 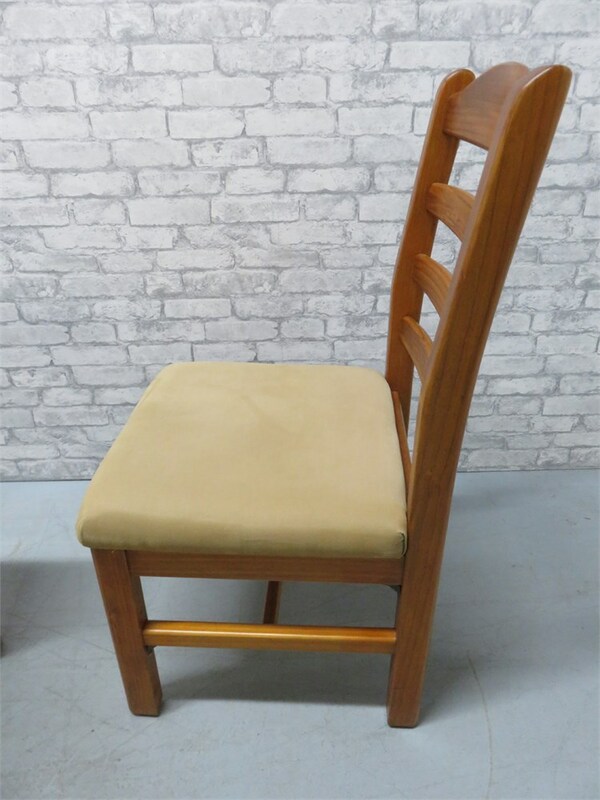 The 4 ladderback chairs have buckskin color fabric cushion seats. 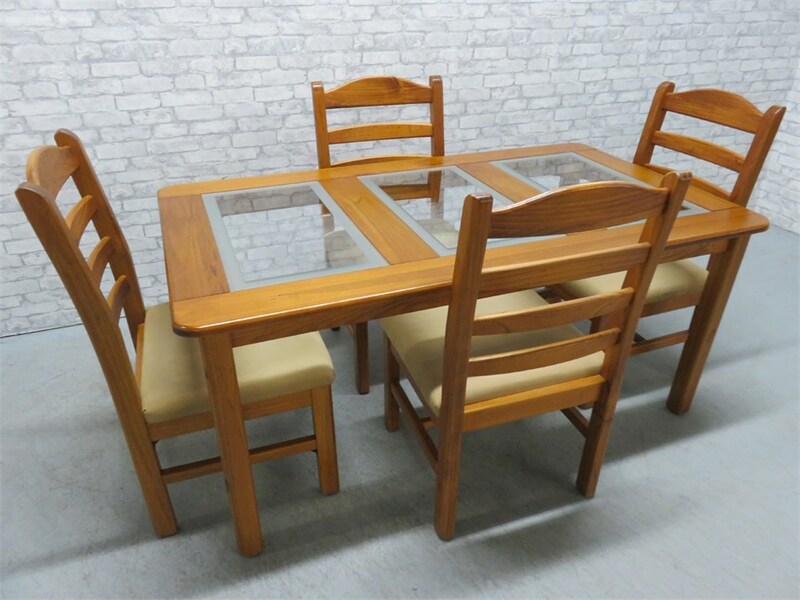 This set is in fantastic condition, showing hardly any signs of wear.